Members should be aware that the riverboat’s elevator does not reach the sun deck and, as on many ships, steps can be quite steep. Shore visits will include some extensive walks, often over rough surfaces and may include steps. Travel conditions in parts of Russia can be relatively primitive. Members should be in good physical condition, able to walk a kilometre or more without assistance to fully enjoy this cruise. The ms Tikhi Don is a renovated traditional riverboat, providing an authentic Russian experience. This special Russian Waterways cruise offers us a unique opportunity to explore Russia's two great cities, St. Petersburg and Moscow. We will discover the lovely countryside and rich cultural heritage of the historic centre of Russia. Our riverboat will allow us to enjoy each of these historic cities as we pass through the canals, lakes and rivers that connect them. 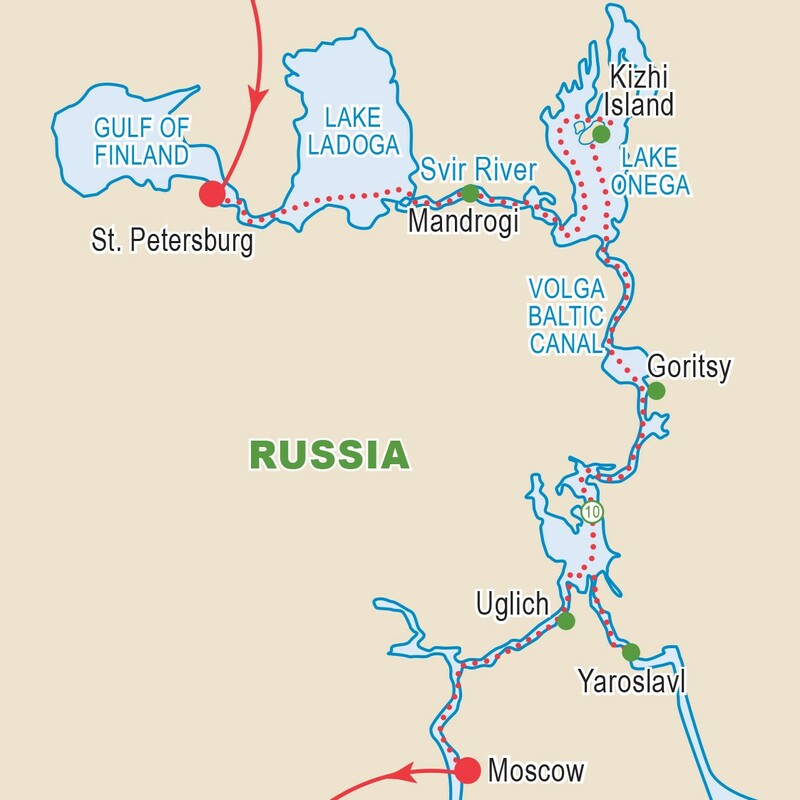 We will visit small villages, ancient monasteries, historic sites and cruise across the two largest lakes in Europe. Pass industrial centres and see first hand the changes that are overtaking this once mighty nation. Our journey is fully inclusive; all taxes, gratuities, service fees and most meals and shore excursions are included in the cost. There will be opportunities to take additional excursions and special evening performances after embarking on the cruise (extra costs). We have limited space and expect it to sell out very quickly. Group members from across Canada gather for the overnight flights via Europe to St. Petersburg. Created by Peter the Great to rival Venice, St. Petersburg is built on 101 islands, has 66 canals and hundreds of bridges, making it the most beautiful city in Russia. Our city tour will take us down fashionable Nevsky Prospekt with its shops, cafés and theatres. We continue past Palace Square and the brightly painted Smolny Cathedral. We will see many of the city’s most important buildings such as the Peter and Paul Fortress and the Cathedral, containing the tombs of the Imperial Romanovs beneath its 122 metre spire. 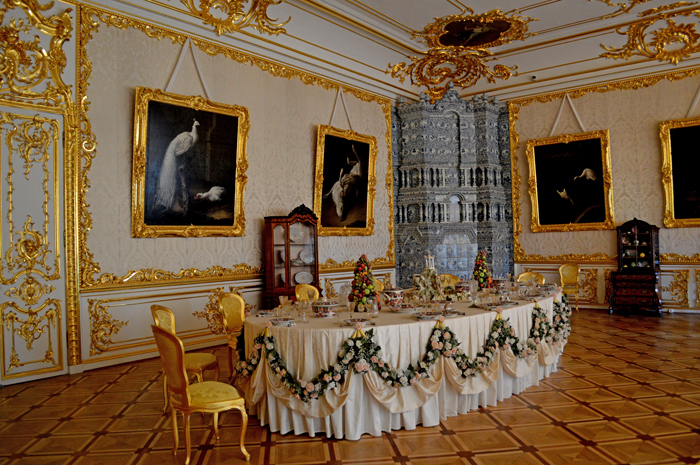 This afternoon we venture out to Pushkin to visit the magnificent Catherine Palace with its fabulous Amber Room. This morning we shall visit the Hermitage, perhaps the most important building in Russia, with its three million pieces of art dating from the early Greeks to modern times. We shall spend a number of hours exploring the building and its many galleries. Enjoy a leisurely day with some scenic cruising as we follow the Svir River with its forested banks and picturesque scenery. At lunch we will enjoy a unique riverside picnic in a traditional village. This evening we will enjoy a Captain’s cocktail reception. Cruise across the largest and purest lake in Europe en route to the island of Kizhi where we find the celebrated open-air Museum of Russian Architecture. On display are restored and preserved wooden buildings spanning the past three centuries. The Church of the Transfiguration, with its 22 onion domes, is the ultimate Russian fairy tale church, built without any nails or metal beams. Today we visit Goritsy, a simple rural Russian village and farming centre. Nearby we shall visit the Monastery of St. Cyril on the White Lake, home to an impressive collection of iconography. Founded in the 11th century by Prince Yaroslav the Wise, the city retains many reminders of its colourful past, including the magnificent 13th century Spassky Monastery, a group of majestic 17th century cathedrals, and the Governor’s Palace near the town square. The Church of Elijah the Prophet is a museum of Russian paintings, adorned with dozens of frescoes. 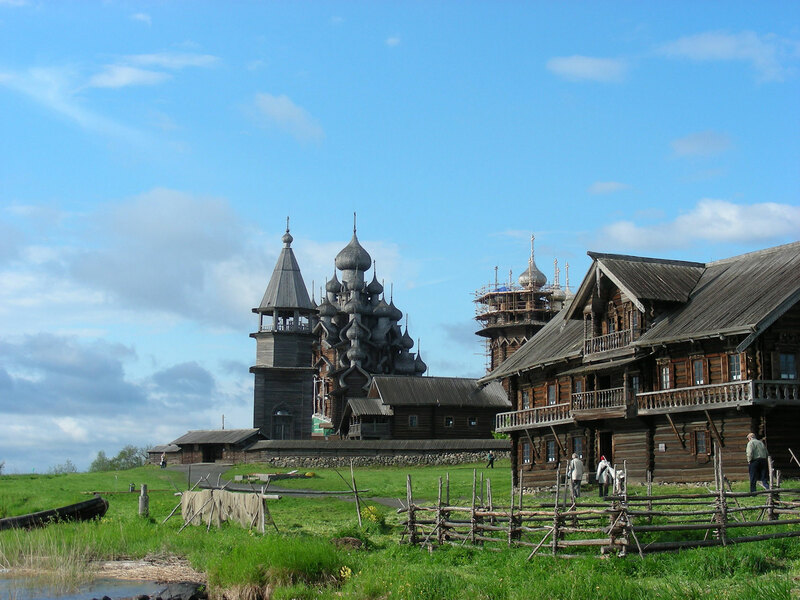 Nearby is the Spaso-Preobrazhensky Monastery, a UNESCO World Heritage Site. 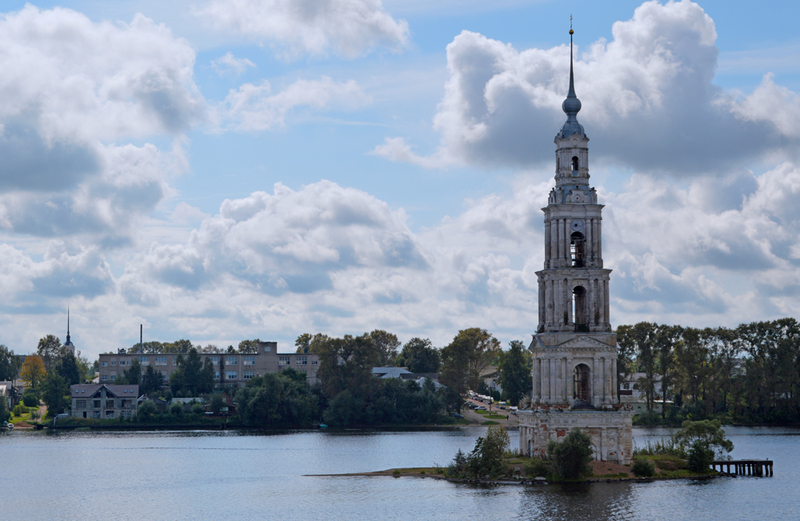 Founded in 1148, Uglich is one of the most beloved towns in Old Russia. 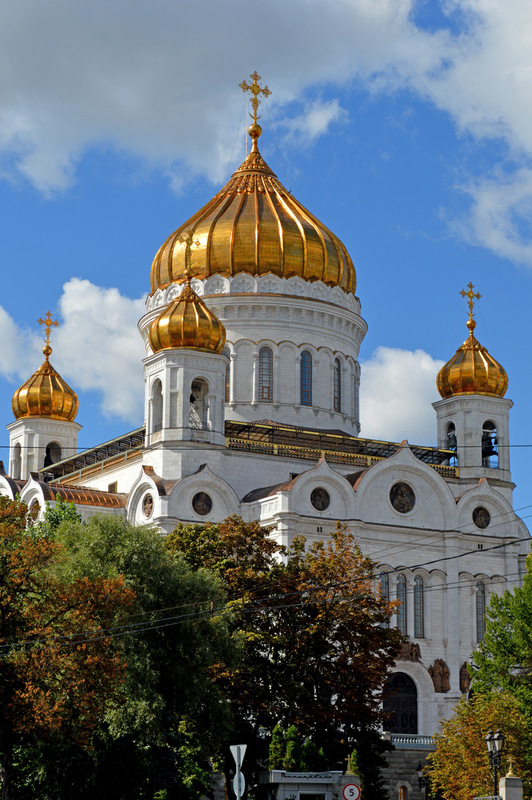 Enjoy a visit to the magnificent five domed Transfiguration Cathedral and the Church of St. Dmitry on the Blood. This church was built to honour Tsarevich Dmitry, the last scion of Dimitri Rurik dynasty, whose passing remains a mystery. 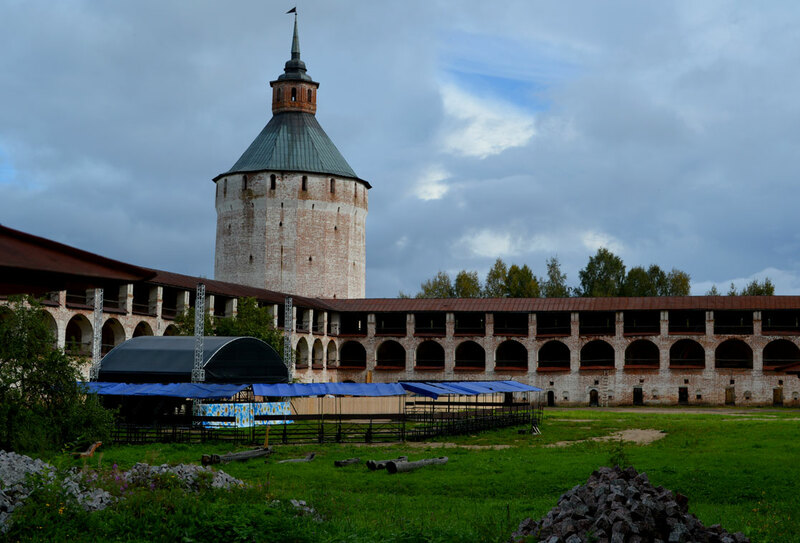 See the Uglich Kremlin before enjoying free time to visit the local Flea Market. This morning enjoy a panoramic city tour of Russia’s ancient capital as we get to know our surroundings. See the impressive Red Square, enjoy the sights of the Bolshoi Theatre as well as of the remarkable and colourful Saint Basil’s Cathedral. 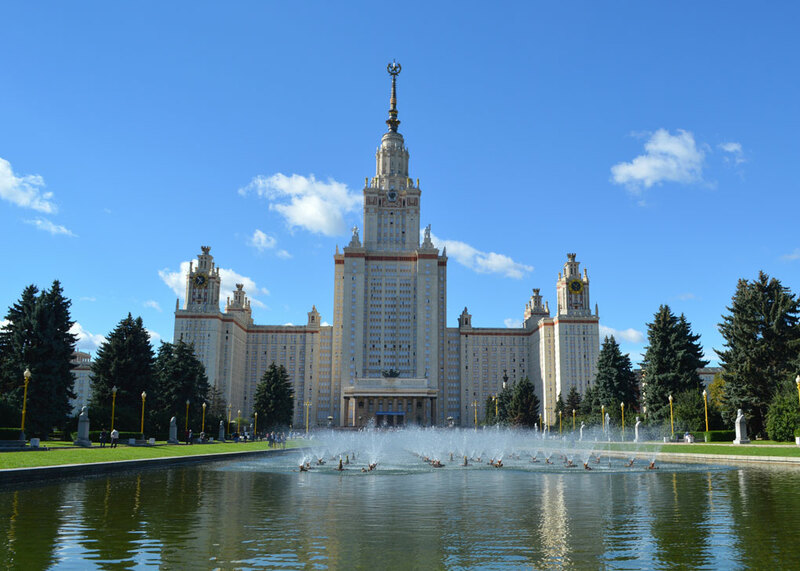 Enjoy the panoramic view of Moscow State University and see the statue of Peter the Great. Enjoy a guided morning visit to the Kremlin, the former residence of the Czars and the current seat of power in Russia. The massive complex took shape between the 15th and 20th centuries. At its head we find Cathedral Square with the Assumption and Annunciation Cathedrals, the later being the private church and burial place of the Czars. The afternoon is free to explore on your own or you may join an optional excursion. Today we transfer to the airport for our homeward bound flights. With four passenger decks plus the sun deck, our cruise ship carries just 220 guests with a crew of over 100. On board facilities feature a panorama lounge, conference hall, three bars plus a single seating restaurant, library, souvenir shop, and beauty salon. There is a small elevator that serves all passenger decks. All cabins are outside with size ranging from a very spacious 145 to 183 sq. ft. Beds in each cabin can be set as twin beds or one large queen bed. Each cabin is equipped with private bathroom (shower), satellite TV, radio, a small refrigerator, air conditioning, in-room safe, hair dryer, plus electrical outlets (120V and 220V). While the ms Tikhi Don is a comfortable and spacious riverboat, compared to most Russian river cruise ships, she is not to be compared to the deluxe standard of river boats in western Europe. Estimated Air Pricing: Airfare is currently estimated and subject to change. Air cost will be confirmed at time of booking. Full air payment will be required at time of booking. * Cruise only price is based on joining shipside in St. Petersburg and leaving shipside in Moscow. Rates are per person based on sharing an outside deluxe Cat A cabin on Main Deck. Stateroom categories are subject to availability at time of booking. Book early for best choice. See Deck Plan for full details on various categories available. Cabins can be configured as two twin beds or one queen bed. Cabins for single occupancy are on request and are very limited. Cruise prices are based on sharing a stateroom with private bathroom. Prices are based on a minimum 20 members and on rates, taxes, and fees effective July 2018 and are subject to change due to factors beyond our control. Cruise to be escorted with a minimum of 20 travellers. Airfares from other gateways are available on request. Air taxes/fees and carrier are subject to change and will be confirmed prior to final payment. Refer to Inclusive Features for details. Prices DO NOT INCLUDE the cost of insurance which is available and is highly recommended. Premiums vary with the cost, length of the trip, and the traveller’s age. For passengers up to and including 74 years on departure date, premiums will range from $280 to $520 pp plus applicable taxes. Cost supplements for singles and travellers aged 75-85 will range from $186 to $414 pp plus applicable taxes. This insurance is effective from the date of purchase and carries limitations on pre-existing medical conditions. Clients 86 years and older and/or clients residing outside Ontario - please contact our staff for procedures. Please discuss your insurance coverage prior to booking. Refer to our Terms and Conditions for more details.